BE A HERO - Help us make an impact with this film. Mark Achbar, co-director of The Corporation and its upcoming sequel had a chance to see the film at VIFF on Friday night, and sings its praises while urging supporters of The Corporation to get involved. With his critically-acclaimed first film, Sharkwater (2006), Stewart exposed the illegal and immoral practice of “finning” and led the battle for people and countries around the world to go #FinFree. Stewart’s movie inspired significant changes in attitudes and laws around the world. As Mark Leiren-Young, author, The Killer Whale Who Changed the World puts it, “Rob Stewart was a force of nature and a force for nature. There haven’t been many movies—ever—that made a genuine impact on public policy. 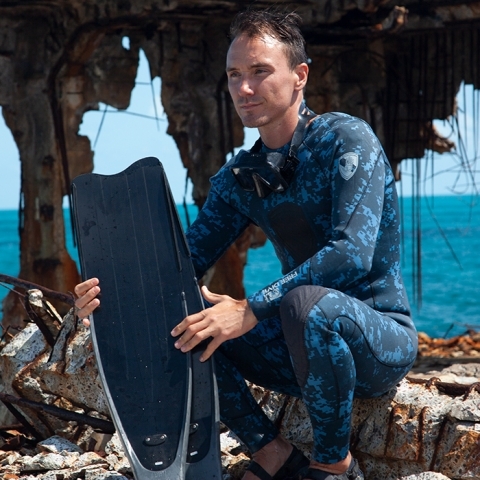 Sharkwater did.” In his multi-award-winning second film Revolution (2012), Stewart exposed ocean acidification as a major threat to ocean survival. He looked to the evolution of life, revealing that it’s not just sharks who are in jeopardy – but us. He showcased past revolutions and the activists and youth fighting to save their future. His call then, and now, is a hopeful and passionate plea: be a hero. Today there’s a seemingly insatiable appetite for shark, even for baby sharks which are being killed in vast numbers and contributing greatly to the threat of extinction. Over the last 40 years the global shark population has dropped by an almost inconceivable 90%. We know sharks are disappearing; where they are ending up should haunt us. In 2017, while shooting Sharkwater Extinction, Stewart tragically died while diving off the Florida Keys. The world lost one of the ocean’s greatest advocates. Beautiful, compelling and ultimately tragic, Sharkwater Extinction will be a powerful tool in conservation work -- challenging and inspiring audiences to continue Rob Stewart’s crusade to save sharks, our oceans and ourselves. The new film is beautiful, and while the shadow of losing Rob hangs over it, seeing Stewart speak to us on film, in the way he no longer can in life, is bittersweet. We are reminded, as Rob well knew, that no single documentary is enough, it's what we do after the film that counts. The highly anticipated Sharkwater Extinction, with a wide release in theatres across Canada on October 19, is poised to have an even greater impact. “Rob drew you in," writes Sarika Cullis-Suzuki of the David Suzuki Foundation, describing how Rob's inspiration fueled many movements. "He reminded us why we are privileged to live here on Earth. He showed us that the world is still a breathtaking and mysterious place that deserves to exist. In short, he did what stats and data cannot: he showed us the beauty. He had this uncanny ability to see it where others might not — in sharks, in our depleted world, in us." It's up to us to share his work.